Harland Clarke provides first class and innovative payments solutions, retail products and marketing services to more than 12,000 clients, ranging from financial institutions and companies to small businesses and individual consumers. The company is headquartered in San Antonio, Texas and operates in multiple states. In this post you will find out more about their card offers and deals, as well as how to get and customize a Harland Clarke gift card, check your balance online and use your card at your favorite establishments, or send it to a friend. What is the Harland Clarke Gift Card? A Harland Clarke gift card is a flexible and safe option for you as an individual shopper to use it for your purchases, as well as a way to offer something useful to someone special, or to your employees in case you own a business. The Harland Clarke gift card acts like a Visa debit card that can be used anywhere these cards are accepted. All you need to do is purchase it online at an amount at your choice and use it either in person, on the phone or online. Harland Clark gift cards are created for both institutions and individual clients. If you have a business, you can reward your employees with a flexible and easy to use bank service. The company offers bulk ordering solutions which makes buying a large number of gift cards more convenient. Whether you wish to order 25 or more gift cards, their bulk ordering option is a perfect choice no matter if you are a small institution or a big firm. The Harland Clarke gift card program can be accessed in no time. Moreover, the company provides 24/7 customer service for all recipients ensuring that all operations are as efficient as possible. Once you register an account online, you can check your balance, make payments, report lost or stolen cards and solve problems without having to contact the financial institution. Another important aspect of the Harland Clarke gift card options is the five distinct gift card stock they have for any occasion. You can offer one or multiple cards customized to your choice, using, for instance, your name or logo, a photo or a personalized message. Also, they can create a gift card stock just for you, but additional fees apply in this case. What are the Benefits of Getting a Harland Clarke Gift Card? Harland Clarke gift cards are meant to provide both recipients and gift givers with more flexibility and convenience. You can choose to purchase one or more gift cards and send them directly to your recipient, or to be sent to you. No more wrong chosen gifts! Use it at a great number of locations, from restaurants to entertainment venues, practically in all places Visa debit cards are accepted. Use it not only in stores, but also online or over the phone. Give it as a gift without having to go from store to store looking for the ideal thing to buy. Who wouldn’t like to buy for himself or herself exactly what he/ she wants? Having no worries related to losing a paper gift certificate, cash or check. It takes only a few steps to order a Harland Clarke Gift Card online. Visit the Harland Clarke Gift Card online page. Click on the ‘Order’ button at the top of the page. Customize your gift card by choosing one of the five distinct templates. Choose the amount to load on card – minimum $25, maximum $500. Enter the recipient’s information: full name, email, mailing address. Enter the reason of purchase. Click on the ‘Continue’ button and follow the indications. When ordering a Harland Clarke gift card, you can choose between first class shipping or express shipping. Also, you can choose to either be sent to you, the purchaser, or to you recipient. According to the Harland Clarke gift card policy, cards exceeding $399 need to be shipped to the purchaser only. If you buy the card as a gift, you might also want your recipient not to be notified by email about the purchase. If you order the card online you have it shipped to your friends address without any notice. Once you get a Harland Clarke Gift Card, you need to activate it. In order to do so, you have to call 1-866-244-5360 to receive your Personal Identification Number (PIN). This can be used for POS purchases only. Type the 3 digit code found on the back of your card. Enter the last 4 digits of your phone number and click on the ‘login’ button. Follow the instructions under the Card Registration title. Why is it important to register your card? Registering your card identifies you or your recipient as the owner of the card and makes it able to be used online or by phone for payments and purchases. View and print your transaction history. Update your account details without having to go to your bank. How Does Your Harland Gift Card Work? 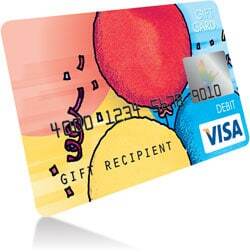 As already mentioned, your gift card can be used to make purchases at all locations Visa debit cards are accepted. However, your Harland Clarke gift card does not act like a normal credit card. It cannot be used at ATMs to withdraw money or get cash back from a merchant. Your card also has an expiration date which is 7 years from date of issuance of card. The funds are available only until the date shown on the front of your gift card. No refunds will be given after this date. Unfortunately, your card cannot be reloaded. You can choose an amount up to $500 and once your credit is entirely gone, you need to get another one. If your card gets lost or stolen, you should immediately report the problem by calling the Harland Clarke 24/7 support line at 1-866-244-5360. They will replace your card and any available balance will be transferred to the new card. There is however a $5 lost/stolen fee which will be deducted from your balance. How to Check Your Harland Clarke Gift Card Balance? Checking your Harland Clarke gift card balance is fast and simple as you can do it online. All you have to do is login to your account. Go to the Harland Clarke gift card page and click on My Account. Enter all required information such as card number and Personal Identification Number. You can also check your card balance by phone. Harland Clarke offers 24/7 customer support. All you have to do is contact one of their representatives at the phone number already mentioned above. For more information about Harlan Clarke card deals and options, you can have a look at their card services page. For general information and inquiries about your Harland Clarke gift card program, send them an email at EPS.Cardholder.Support@fisglobal.com. Also, you can write them directly on their gift card service page by filling out a contact form. This concludes our information on Harland Clarke gift card options and deals. We hope our guidelines are useful to you and help you benefit from more rewards and discount offers online. Please leave us a message in the comment box below if you have any further questions, suggestions or thoughts you’d like to share.